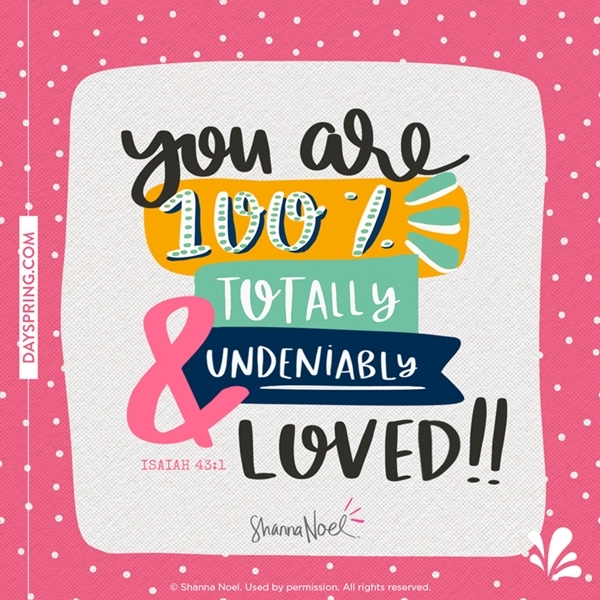 Shanna Noel is the founder of Illustrated Faith. A wife and mother of two, Shanna is a lifelong scrapbooker who started using her passion and a journaling Bible to begin illustrating and documenting her faith… right in her Bible! Hi there! Most of the questions we get at Illustrated Faith every day are asking about the best Bible journaling supplies to use on these thin pages, but I think it’s important to remain focused on why we are here in the first place. We all love to journal, we love God, and we love reflecting on the Word. I wanted to share with you seven Bible journaling verses that I find myself going back to over and over again. This may be a great launching off point for someone new to using a journaling Bible, or you may want to take it verse-by-verse focusing on each one for a period of time. The important thing here is you are digging into the Word! I thought about including my Bible journaling pages from these verses but I didn’t want it to take away from what God is trying to teach YOU through these verses. Bible journaling inspiration comes when you find that verse that really speaks to you. If you want to see my pages I share all of them on Instagram, so make sure you are following me, @illustratedfaith and @DaySpring there! Psalms 147:1-20 I love verses that have a very clear illustrating direction. Not that you always have to follow it, but it just lends itself well to that! In this verse it talks about “counting the stars and knowing them by name” which just screams BIG, dreamy STARS to me! Make them SHINE! Ecclesiastes 3:9-14 I love this book and the visual impact it has when I read over it. After you read it, just close your eyes and soak it in. You may come to a very different spot than I did, but I took away from it this beautiful blooming image. Matthew 5:16 In my Bible (ESV), this chapter is titled “salt and light” which to be just brings up so many ideas about what we are reading here. I just jumped all over the “light” portion of this title and have a BRIGHT and beautiful illustration reflecting on what God is laying on my heart in this chapter of my life. John 8:31-38 “The truth shall set you free.” Anything with the word “free” in it when it relates to the Bible just brings to mind birds soaring freely! If you know me at all, you know I LOVE to use birds in my Bible, something about that freedom just takes me right to that peace that God provides us. Romans 5:3-4 “God’s love poured into our hearts.” Oh, how I love this and the idea of LOVE being poured into our hearts. Whitney English really brought this verse to life for me in her talk on “finding foundation in our faults.” Whenever you are in your walk, God has a special message for you in this verse, it’s important to listen to that. 1 Corinthians 12:7-11 One of the foundations of my testimony and discovering my path with Illustrated Faith is using the GIFTS that GOD has given you to glorify HIM! This verse will bring that home all day long! Galatians 6:1-10 I work a lot in the book of Galatians; something about it just speaks to my soul. I love this verse and to me it speaks to planting the seed. When I think of the word seed, so many illustrating/journaling ideas come to mind. You can simply stick with the baby seed or take your illustrations all the way to full bloom! I hope these Bible verses will spark something in you today. Even if only ONE verse speaks to you, let it just be a starting point for the wildfire God is igniting in your heart. For some quick, fun, and easy instructions and ‘how to’ Bible journal tips, download 7 Steps to Illustrating Your Faith. Bible journaling inspiration comes when you find a verse that really speaks to you.